The main objective of this article to see weak points of router and how to make router more secure. To spread awareness about the router security. So the user itself protect their home or corporate network more secure. We talk about the weak points of router configuration and what will be the impact if it is configured poorly on the network. Authentication Bypassing: There are many ways to bypass the authentication and one of them is default password. 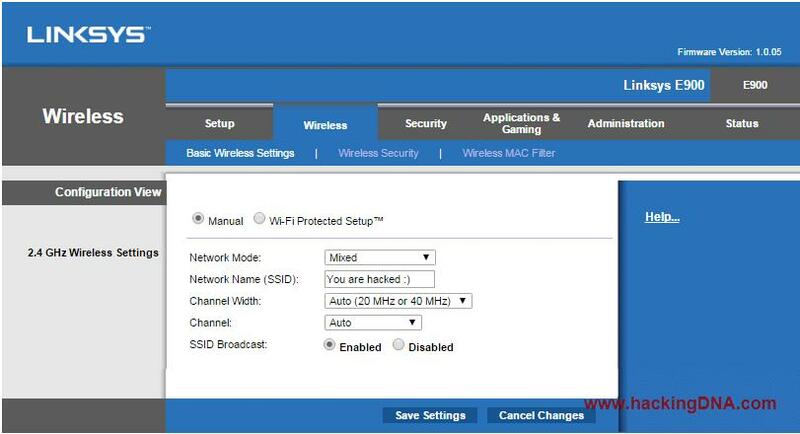 This is commonly found when user is not aware about the security of WiFi router and chances are more of router hijacking. Internet IP details: Which gives internal details of the ip given by the ISP. Network Setup Details: Such as router IP, subnet mask, Router name. Router name and version number: These information helpful for an attacker to find vulnerabilities and exploit it. DHCP Server settings: An attacker can use this service to reserve their ip address. See the below screenshot for more details. 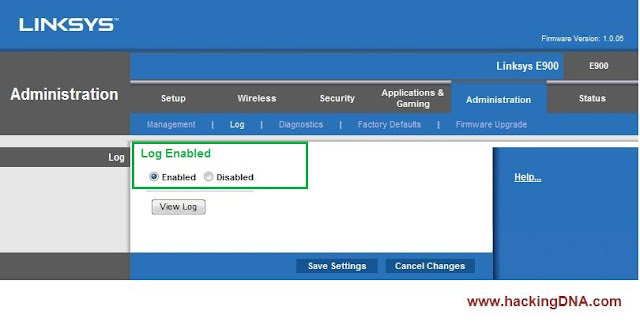 Secure your router by changing the default password with strong one. This should be consist of Alpha numeric, letters (Capital and Small), symbols and length of the password. As login password is the first line of defense. We should make it hard so no one can go beyond this level. 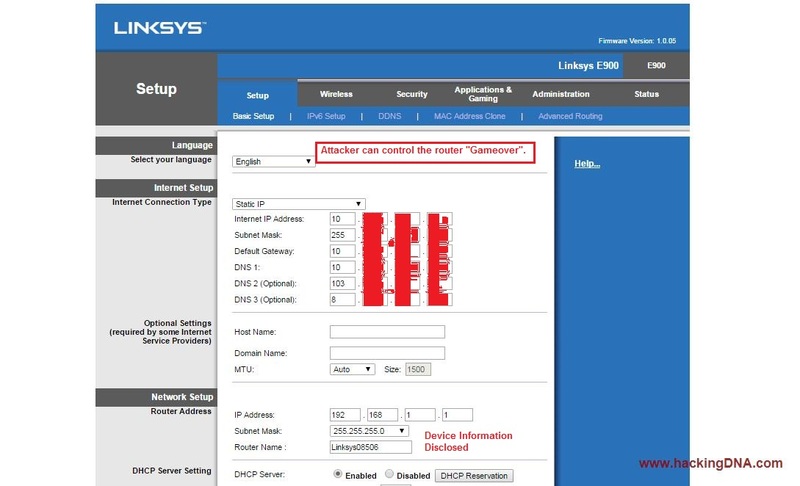 Once an attacker inside the router, it can reboot the device easily disconnect all the users connected to the WiFi router. The impact of "Reboot" Depends on where the WiFi router is situated. If it is in the corporate, impact is more, if is at home then the impact is less. Again safe your router from default password. Upgrade your firmware if your router supports. So that no one can take advantage of the vulnerability and get inside your router. Image 1: The below screenshot shows the "Security Modes". Through these "Security Modes" an attacker can use for their own backdoor purposes by selecting the weak WEP encryption. If you are using W.E.P (Wired Equivalency Privacy) as a security mode in your router, Its better to use a secure security mode "WPA2/WPA Mixed Mode". Description:When we access router via weak channel such as HTTP, we make our router more vulnerable to MiTM attack i.e Man-in-the-Middle attack. An attacker can use sniffers such as Wireshark to capture packets and steal credentials. DEMO TIME: Let see how an attacker steal credentials. Image 1: The below screenshot display web service is running on HTTP and wireshark is ready to capture the packets on the network interface. Always use secure channel i.e HTTPS to safely pass your credentials on the network. After changing access mode from HTTP to HTTPS, observe how the data is travelling on the network. Image 1: This image shows, user is going to enter the default password. Image 2: The below image shows how attacker capture the packets using wireshark and when we follow the TCP stream, everything is encrypted. This makes the channel more secure. Nobody care about the Log management, usually when get inside the public wifi this thing is common to see. Not only public WiFi, the corporate WiFi has the same story. DEMO TIME: Log management is "Disabled". 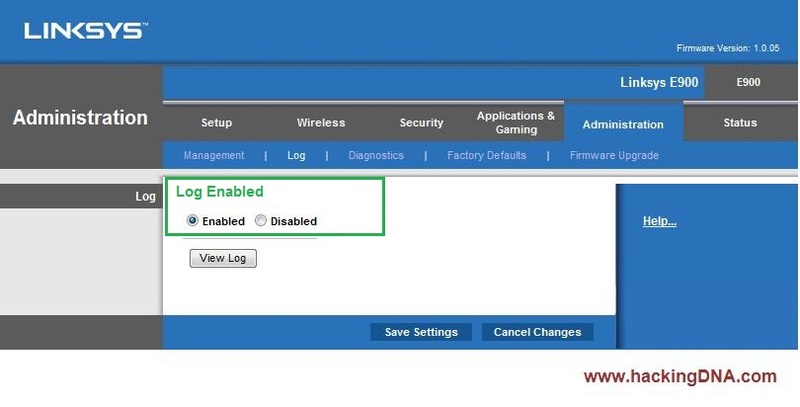 After enable the log, we are going to see how log help us to identify user connected to the network and what IP they are accessing through our WiFi. If someone is abusing your router and using it for wrong purpose, this log can save you if you enable it. May be it help forensic teams to collect very important logs which help to trace attacker. Image 1: The below image shows, we have enabled the Log options. See the below image how we can enable it in LINKSYS router. Security Perspective: This log helps you to understand what user is accessing on the network through your WiFi. These logs helps to identify IP addresses, port no, destination URL or IP address. Always enable Log management on the router. In this article, we see practically how we bypass authentication of the router.Then how to play with SSID name, what happen if we use unsecured channel like HTTP and at last importance of log management. A attacker can reboot the router with any intentions either just for fun or to take down the network. We talk about weak points of router and how to countermeasure. Hope this small article is helpful for all out there. This is just for educational purpose only, don't try at your home or someone router until you don't have the permission.